HomeNewsNewsHow your rod licence money is spent? 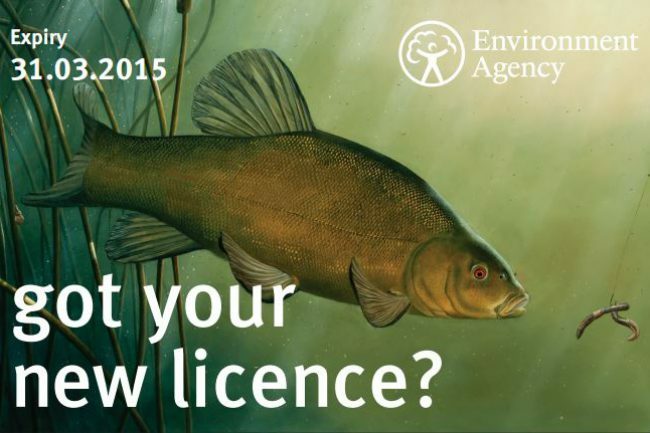 The Environment Agency official answered the question that many anglers ask - where does their rod licence money go? Last year the Agency raised around £23 million from more than 1 million anglers. Over 35% of the funds season has been used to finance re-stocking programmes on the nation’s rivers, which saw over almost half-a-million fish introduced at venues across the UK. In addition, there were over 5,000 individual fishery improvement projects and over 100 kilometres of fisheries habitat improvement with new spawning grounds, improved access and new pegs. "The £23 million generated through rod licence sales is one of the main reasons why we have had such an outstanding start to the river season," said the EA official. Many rivers are producing their best early-season form for many years, and record numbers of juvenile fish thriving in waterways such as the Wye, Ouse, Thames and Trent are also being reported. "The start to this year’s river season across the nation has been incredible and this has been aided by the re-stockings, habitat restoration and improved access funded by money made from rod licence sales," said an EA spokesperson. "Last financial year we carried out improvements across the country from the north east to the south west and this work is just the beginning." 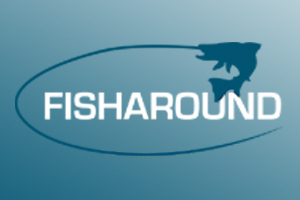 A large slice of the revenue has been spent on the promotion of angling through initiatives such as National Fishing Month along with projects and workshops with fishery owners and angling clubs to provide advice on how to maintain and improve their waters. 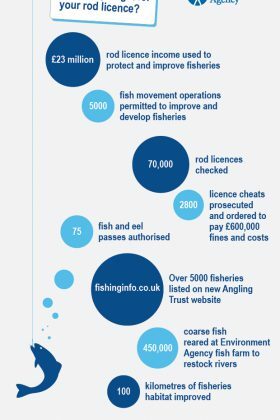 The money also enabled the EA to step up their enforcement patrols resulting in over 70,000 rod licence checks nation-wide culminating in 2,800 prosecutions which generated £600,000 in fines. "We have stepped up licence checking this year as part of a push to reverse the decline in licence sales and income. In the first 3 months (April to June) we checked 28,000 anglers and found 1,800 without a licence," continued the EA spokesperson. "This can only ensure these people will now think twice when looking to cheat the law and their fellow anglers again."